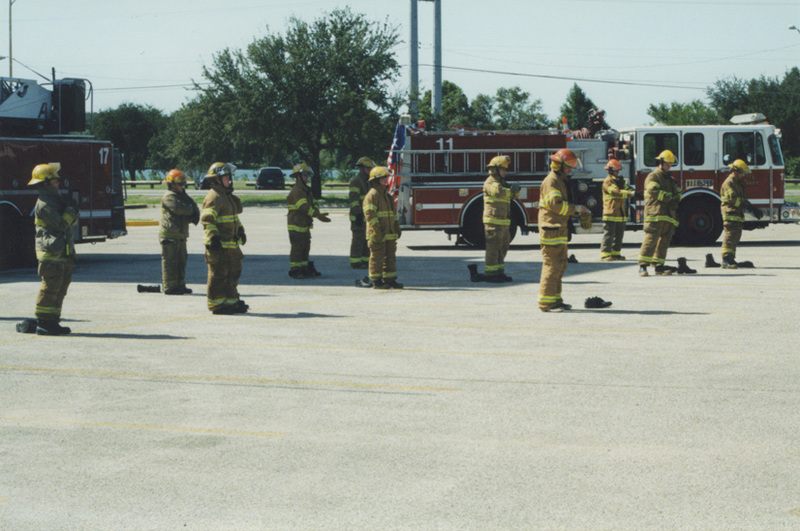 Allison’s first ever collaboration with a City of Austin department, In Case of Fire, featured thirteen Austin Firefighters from stations 11 & 17, two fire engines, and a ladder truck. The thirty-minute piece was performed at the Austin Fire Department Training Tower and marked the culmination of Fire Prevention Week in Austin. 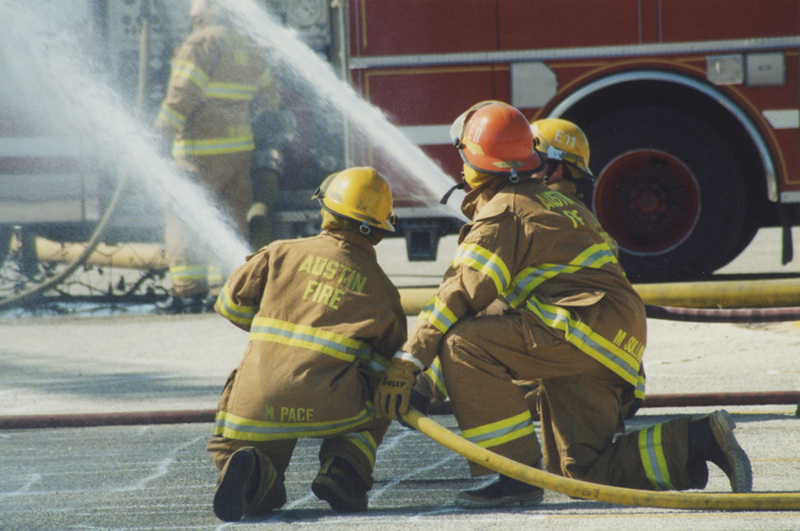 Allison worked with this group of firefighters for over a year—riding out on the trucks to fires and medical calls, interviewing the firefighters about their work, and learning all she could about firefighting. 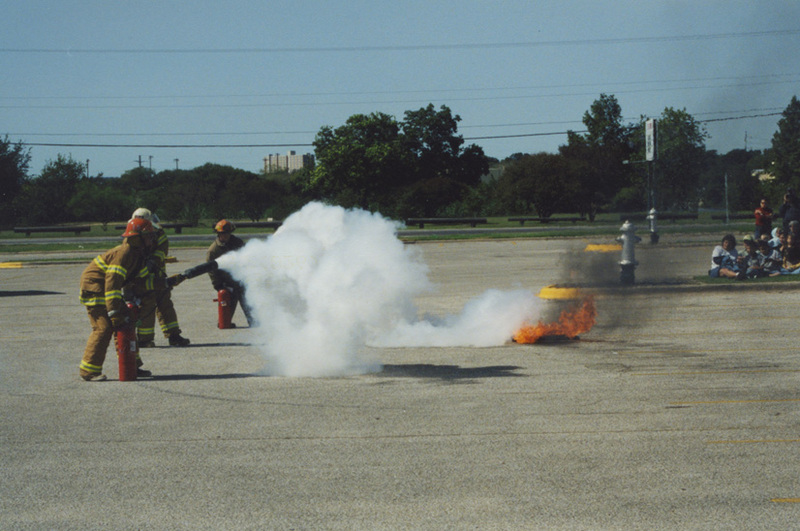 One member of the group, Lieutenant Mike Sullivan, had been with the Austin Fire Department for 28 years when he performed in In Case of Fire. Another performer, Captain Mike Stephenson, had worked for AFD for 23 years. During the performance the firefighters were seen pulling hoses, climbing ladders, and rappelling down a building. And yes, there was fire. In addition to the sound of sirens, a musical score by Philip Glass with text arrangement by James McCartney accompanied the dance. The score incorporated an interview with AFD Fire Specialist Julie Huser and a short story by Rick Bass called “The Fireman”. 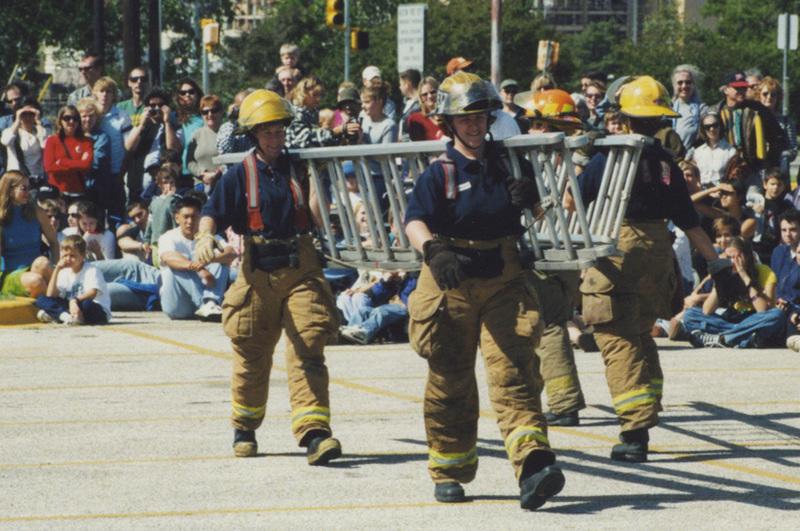 Through choreography inspired by the movements that firefighters typically perform in their daily work, In Case of Fire showcased the important and often heroic work of City of Austin firefighters. When the dance came to a close the performing firefighters received a standing ovation from the audience of over 500 Austinites. Performed less than a month after 9/11, In Case of Fire was dedicated to all the brave firefighters who gave their lives on September 11, 2001. In Case of Fire was sponsored by the Austin Association of Professional Firefighters, Norton Rose Fulbright US, L.L.P., and GSD&M.